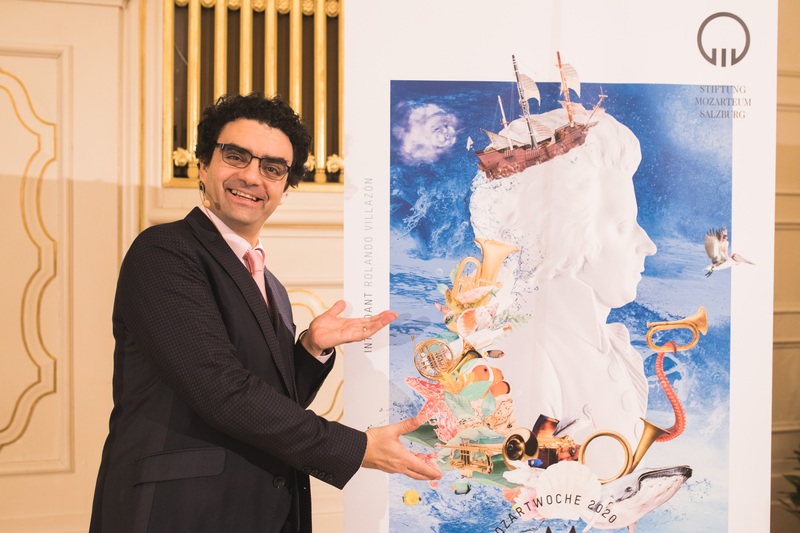 Intendant Rolando Villazón has today presented his program for the Mozart Week 2020. The big stage project of the Mozart Week 2020 brings a phenomenal constellation into the House for Mozart: The acclaimed director, playwright, painter, set designer and video artist Robert Wilson stages The Messiah KV 572, an adaptation of Mozart's Handel's Oratorio. "For my Mozart Weeks, the motto is" Pure Mozart "combined with a special musical focus, which we set each year new. It's about exploring and presenting the incredibly rich oeuvre of Mozart in all its diversity. In the year 2020, the wind instruments will be in the spotlight, "intends director Rolando Villazón, adding:" This year we are also approaching the special friendships of Mozart who produced these masterpieces. We are on a journey together and dive into Mozart's world. You can discover wonderful treasures - I know that from personal experience. " The Mozart Week 2020 offers around 50 events, including three scenic stage projects, a concertante opera performance, orchestral concerts, chamber music, dance and much more.